Long ago, when I first purchased CCJ, in the midst of a nuclear reactor melting down on a coastline in the Pacific, I told you that there was more to this than the panic being cultivated by professional fire-alarm pullers. And there were two primary reasons at that time which I gave. The first, and most obvious, of course, was that one does not just restructure the load production of a country’s power grid over night. Watching Japan struggle with prices as they import the coal needed to replace that energy has been an exercise in this concept. Across the planet, other nations that declared their intentions to wean off nuclear energy are also realizing how difficult this task will actually be. But the other main reason I gave why Japan, specifically, would not be divesting itself of nuclear assets was not economical. It was military. Japan’s hardship is that it is an island nation with weak natural resources. And Her ancestral rival is a massive half a continent, sporting more than one billion people and rich natural resources just a short ship ride away. In a peace time environment, Japan may have taken her sweet time (and much wasted money and hardship) restarting the nuclear energy program. The Japanese are a notoriously conservative culture, and if you have ever worked with a Japanese company, you know just what I mean by that. But even Japan, with her slow, careful processions, has limits of patience. Japan’s greatest threat is a blockade of supply routes. A steady flow of resources into the country is necessary to maintain it. These supply routes, not unlike the UK’s in World War 2, would prove a great headache and cause of domestic problems in a military conflict. It’s bad enough importing food, goods, raw materials, munitions, etcetera. And having your nations power grid at the mercy of getting boats past enemy naval fleets is just one extra pitfall that Japanese military leadership will not want to deal with. This was one of the main reasons Japan decided on the nuclear path years ago to begin with. A nuclear reactor carries enough fuel both active and in storage to supply full power for around 3 years. Compare that to a coal plant, which under full load can require a delivery of about 15,000 tons of fuel a day. This approach requires a constant flow of fuel and also very large holding sites, both of which become attractive and hard to defend targets in wartime. I bring this up because just recently, Japan’s leadership has reaffirmed the country’s commitment to safe nuclear power. A recent report from Cameco management issued guidance of a sizable fraction of Japan’s total nuclear assets beginning to come back online. This same report detailed that Cameco has observed Japan to be net buyers of nuclear fuel at this point in time. This should be seen as reducing the uncertainty surrounding Japan’s fuel assets. One of the many worries supplying downward pressure on nuclear spot price has been that Japanese utilities may begin selling off unused fuel. This does not seem to be the case. In the same presentation, Cameco also reassured audience members that Cameco will not be entering into any long term fuel contracts at these prices, which Cameco considers unreasonable. They are waiting for the market to set rates higher, and have instead dedicated themselves to shoring up the balance sheet and controlling costs to bide the time. For the moment, the uranium market remains cold. But Cameco is committed to outlasting the cold spell. I remain very excited in the prospects of CCJ, and it remains my largest position at this time. It’s been long enough that I’d say I actually need to give an introduction and background here. I’ve owned Cameco since Fukushima; literally, I bought my first round of shares at $29 while the reactor was melting down. Since then, I’ve built a position, by averaging in and trading rips, that has a cost average around $21. My belief was that, at the time, commitments to roll back nuclear power facilities were vastly overconfident (if not totally unrealistic) and would ultimately end in retraction. So far, I haven’t seen anything to make me change my views on this. I also felt that the dangers of nuclear power and the consequences of the Japan problem were being overblown. Nuclear accidents have traditionally been forecast to be, literally, millions of times worse than they actually are. Altogether, the ability of the uranium market to shore itself up depends on Japan for now. There is a visible push to get the reactors up and running, and elements of the government seem at least partially favorable to it. 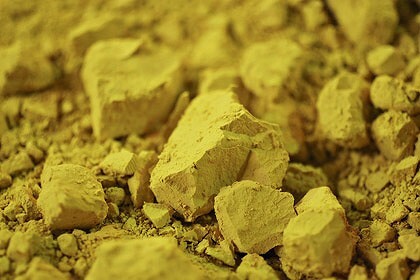 For the last two years, the uranium market has been frozen, as the fuel miners and electricity producers sat in a stalemate, waiting to see what would happen next. We’re about to find out, I think. If Japan can successfully navigate back to nuclear power, it would thaw the uranium space, encouraging power companies that have been so far waiting to see if nuclear opposition would gain more traction, or if Japan’s unspent fuel would be up for sale, back to the markets to bring their fuel cycles up to speed. If not, Japan power companies will likely start to arrest, plunging the entire sector back into violent fluctuations. For this reason I am exclusively a holder of CCJ, and no others, because they are too small and will have trouble surviving if everything doesn’t pan out just right. This does worry me, as Japanese culture is notoriously slow and patient, almost to a fault. It is not completely out of the question that they let their power companies crash. I simply have to hope that they don’t. Long term, the sector is ripe, with lots of new demand, and supply concerns at current production targets. However, any disruptions could easily drag out the recovery another few years. CCJ is greater than 20% of my account. Alright, so today was very nasty for me. RGR, CCJ, and BAS all cramped up, and are busy drowning in the pool. I can guess why CCJ is having trouble – their earnings sucked wind. But RGR and BAS are something of an enigma. RGR has no news pushin git, and the only thing that happened to BAS was it caught a downgrade from some analyst. Anyway, throw in the price of silver with those two and this was a bad day. The first bad day I’ve had since November or October.